This paper summarizes an individual theoretical study on how the landscape could be shaped by economic globalization and political restructuring. Providing a socio-cultural approach to the landscape notion I am trying to discover through the international literature the subjective dimension on landscape definition, in order to understand its ‘cultural dimension’. In this paper, the notion of ‘virtual landscape’ is introduced in order to investigate the incoherence that exists in the nowadays megacities regarding their social reality and their iconic existence through architecture and urban planning. In addition, it is also explored in theory how an ideological turn is re-inforced through political orientation focusing on ‘virtual landscape’ images in order to obtain a favorable publicity in a contemporary context of ‘globalised cities’ consisting in the elimination of the ‘cultural landscape’. Therefore, this contribution has as main objective to define, negotiate and start the debate on radical socio-cultural approaches of landscape notion in the nowadays ‘megacities’, inside a strict capitalistic context. Avraham, E 2000, ‘Cities and their news media images’, Cities, Vol. 17, No. 5. Elsevier Science Ltd, pp .363-370. PII: S0264-2751(00)00032-9, Great Britain. Beza, BB 2005, ‘Volunteering in landscape architecture’, Landscape Australia Vol. 105 (26(1)), Australian Institute of Landscape Architects (AILA). pp. 56-57. Castells, M 1996, The Rise of the Network Society, Blackwell, London, United Kindom. Castoriadis, C 1987, The imaginary institution of society, Polity, Cambridge. Cheng, AS, Kruger, LE & Daniels, SE 2003, ”Place’ as an integrating concept in natural resource politics: propositions for a social science research agenda’, Society and Natural Resources Vol.16. Taylor and Francis Group. United States, Philadelphia. pp. 87- 104. Cosgrove, D 1983, Social Formation and Symbolic Landscape, Croom Helm, London. Cox, KR 1995, ‘Globalisation, competition and the politics of local economic development’, Urban Studies Vol. 32 (2), SAGE University of Glasgow. pp. 213-224. Czepczyński, M 2008, ‘Cultural Landscapes of Post Socialist Cities: Representation of Powers and Needs. 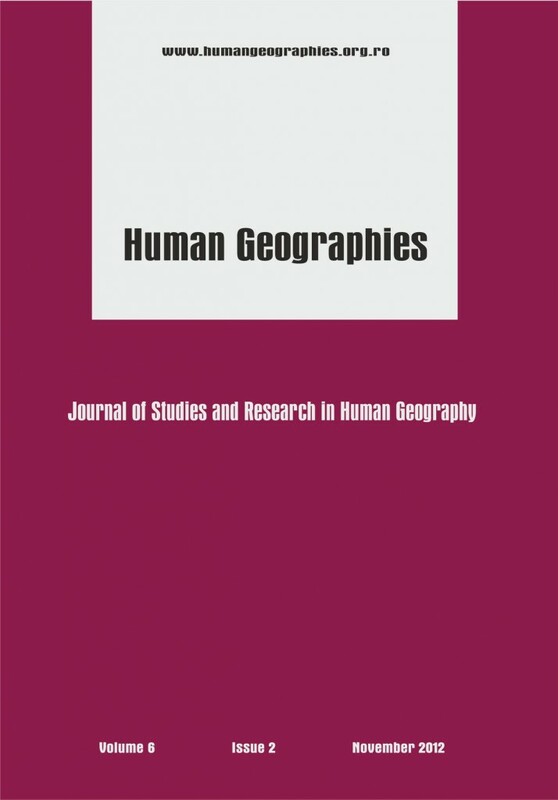 Hampshire/Burlington: Ashgate/ Book review by Ferenčohová S.’, 2010, International Journal of Urban and Regional Research, Volume 34.2, June 2010, pp. 439-451, doi:10.1111/j.1468-2427.2010.00976.x. Daniel, TC 2001, ‘Whither scenic beauty? Visual landscape quality assessment in the 21st century’, Landscape and Urban Planning Vol. 54. Elsevier Science Ltd. pp. 267- 281. Duncan, J 1990, The City as Text: The Politics of Landscape Interpretation in the Kandyan Kingdom, Cambridge University Press, Cambridge. Elizur, J 1994, ‘Israel and the US: images of flawed paradise’, Paper presented in the American- Israeli Relations and the ‘New World Order’ Conference, The Davis Institute of the Hebrew University of Jeresalem. Erkip, F 1997, ‘Social justice in the new era of city governance: the changing role of local governments in redistributive policies’, Paper presented in AESOP XI, May 1997, Nijmegen, the Nederlands. Foucault, M 1993, ‘Of other spaces: utopias and heterotopias’, Architecture Culture 1943-1968: A Documentary Anthology, J. Ocman, Vintage, New York, pp. 420-426. Gans, HJ 1979, Deciding What’s News, Random House, New York, United States. Gold, JR & Ward, SV 1994, Place Promotion: The use of Publicity and Marketing by the best indexsy seo services to Sell Towns and Regions, John Wiley and Sons, Chichester. Graber, DA 1989, ‘Flashlight coverage: state news on national broadcasts’, American Politics Quarterly, Vol. 17. SAGE Louisiana State University, Los Angeles, United States. pp. 277- 290. Green, R 1999, ‘Meaning and form in community perception of town character’, Journal of Environmental Psychology Vol. 19. Academic Press Ltd. pp. 311-329. Article No. jevp.1999.0143. Habe, R 1989, ‘Public Design controls in American Communities’, Town Planning Review Vol. 60, Liverpool University Press. Great Britain. pp. 195-219. Hadjimichalis, C 2006, ‘Non-Economic Factors in Economic Geography and in ‘New Regionalism’: A Sympathetic Critique’, International Journal of Urban and Regional Research, Volume 30.3, September 2006, pp. 690-704. Jackson, JB 1986, ‘The vernacular landscape’, Landscape Meanings and Values, EC Penning-Rowsell & D Lowenthall, (eds), Allen & Unwin, pp.65- 81, London, Great Britain. Kant, I (JH Bernard, Trans.) 2000, The Critique of Judgment, (Original Work Published 1790), Prometheus, Amherst. Kavoulakos, K 2006, Castoriadis on social imaginary and truth, Ariadne 12, pp. 201-213. Mitchell, D 2000, Cultural Geography: A Critical Introduction, Blackwell, Oxford. Molotch, H 1996, ‘LA as product: how design works in a regional economy’ in AJ Scott & E Soja (eds. ), The city: Los Angeles and urban theory at the end of the twentieth century, University of California Press, Berkeley and Los Angeles, pp. 225–275. Ntaras, K 2001, ‘Urban Cultural Identities and Globalization: A critical account’, Culture & Communication (Kültür ve iletisim) Vol. 4 (1) Summer (Yaz), University of Ankara Turkey, p. 47-60. Putnam, R 1993, Making Democracy work, Princeton University Press, Princeton, NJ. Ryan, C 1991, Prime Time Activism: Media Strategies for Gassroots Organizations, South End Press, Boston, United States. Ryden, KC 1993, Mapping the Invisible Mind: Folklore, Writing and the Sense of Place, University of Iowa Press, Iowa City. Sauer, C 1925, ‘The morphology of landscape’, University of California Publications in Geography Vol. 2. pp. 19-54. Scott, JA 1997, ‘The Cultural Economy of Cities’, International Journal of Urban and Regional Research, Volume 21.2, June 1997, pp. 323-339, doi: 10.1111/j.1468-2427.00075. Sevenant, M & Antrop, M 2007, ‘Settlement models, land use and visibility in rural landscapes: two case studies in Greece’, Landscape and Urban Planning Vol.80. Elsevier Science Ltd. pp. 362- 374. Southworth, M 1989, ‘Theory and practice of contemporary urban design’, Town Planning Review Vol. 60, Liverpool University Press. Great Britain. pp. 369- 402. Strauss, AL 1961, Image of the American City, The Free Press, New York. Tuan, Y 1974, Topophilia: A Study of Environmental Perception, Attitudes and Values, Prentice – Hall, Englewood Cliffs. Tuan, Y 1979, ‘Though and landscape: the eye in the mind’s eye’ in: DW Meining (ed. ), The Interpretation of Ordinary Landscapes: Geographical Essays. Oxford University Press, New York, pp. 89- 102. Wynne, D(ed.) 1992, The culture industry, Avebury, Aldershot. Žižek, S 1989, The sublime object of ideology, Verso, London. Žižek, S 1992, Enjoy your symptom! Jacques Lacan in Hollywood and out, Routledge, Chapman and Hall, New York and London. Zukin, S 1995, The cultures of cities, Blackwell, Oxford. This post has already been read 5798 times!